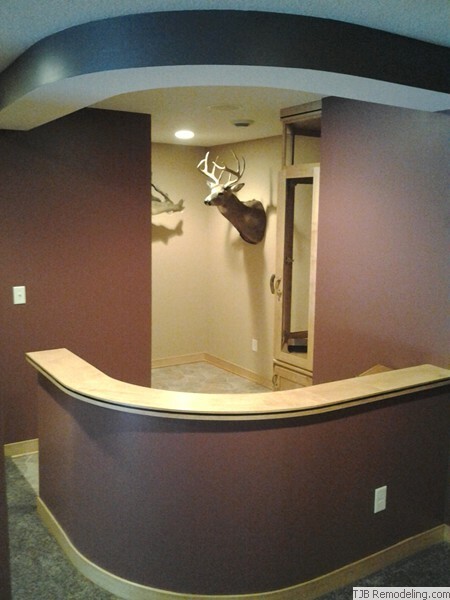 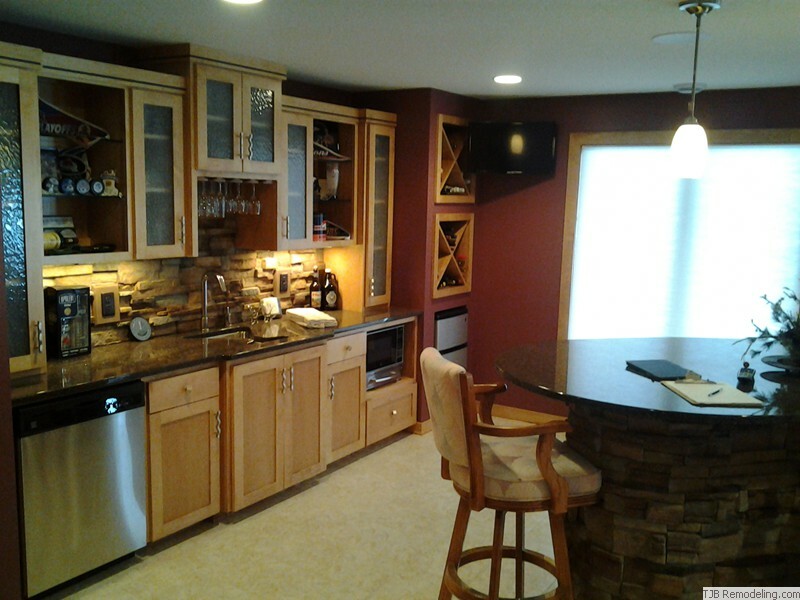 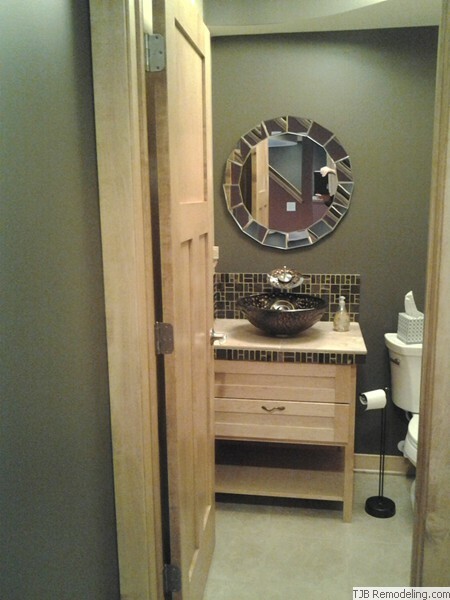 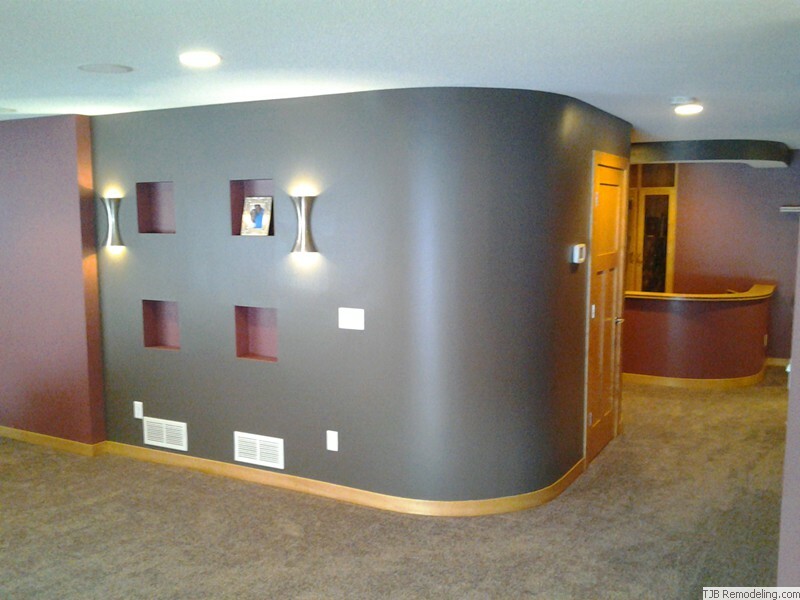 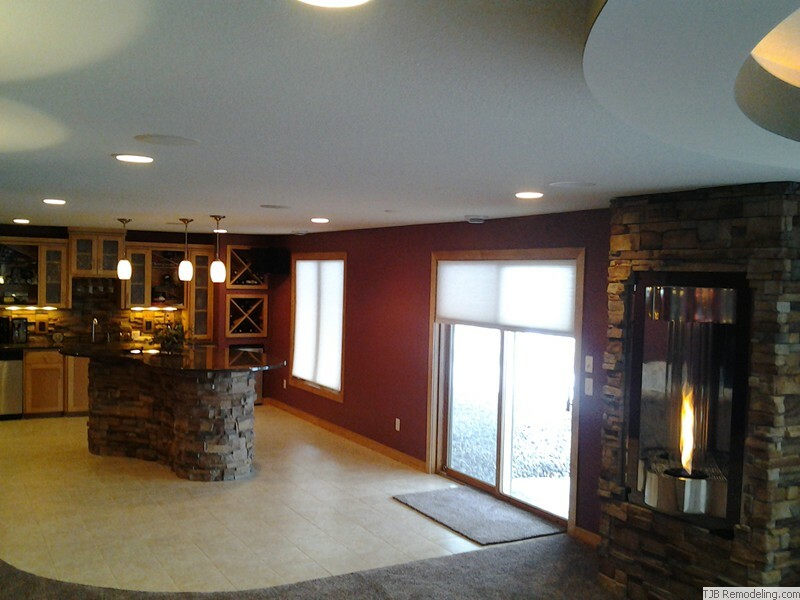 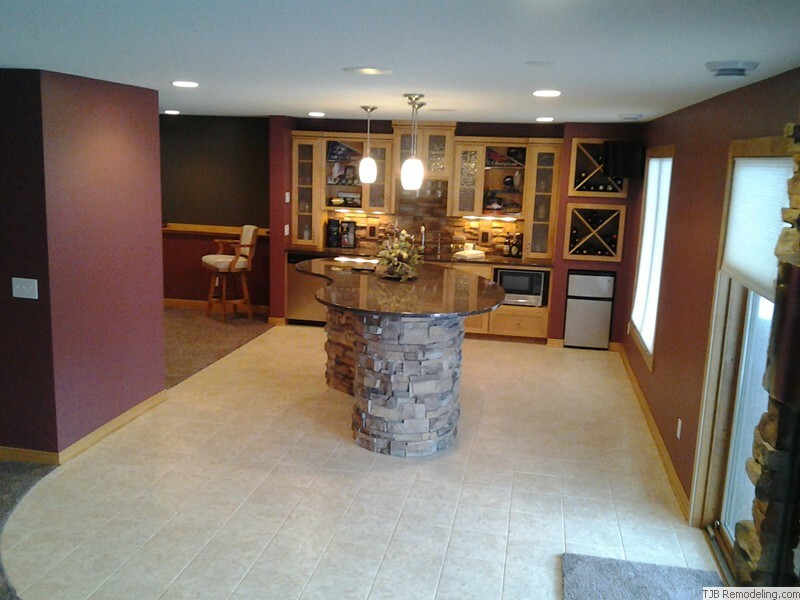 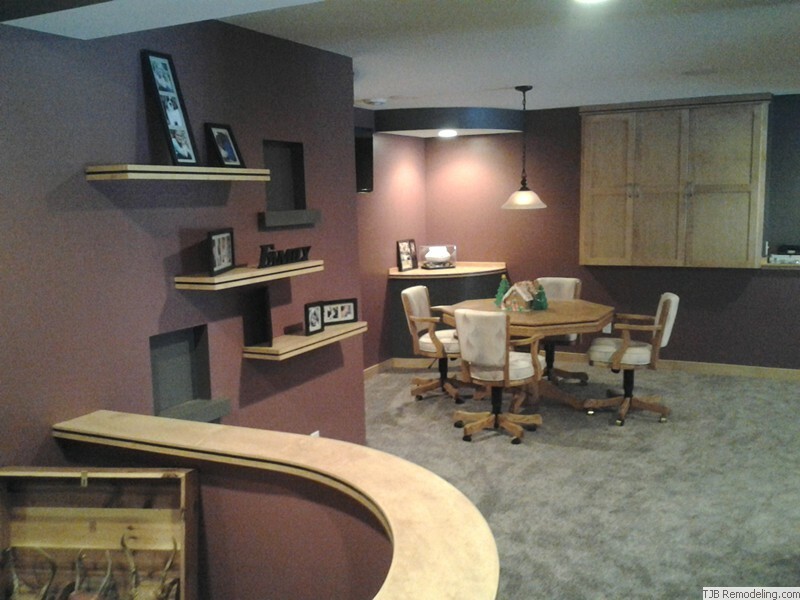 Parade of Homes Remodelers Showcase Spring 2013 | Ham Lake, Minnesota | Lower Level Finish. 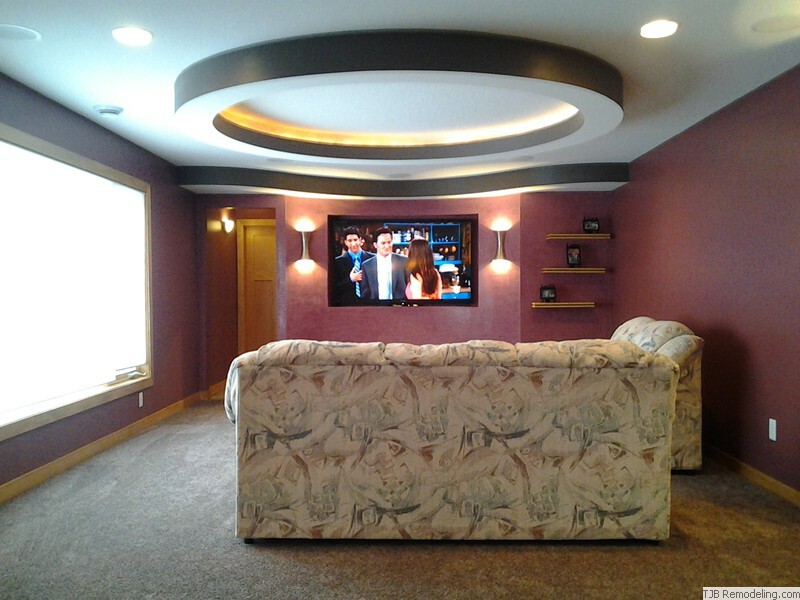 Scope: This 1500 sq ft Lower Level is designed to inspire family gatherings and entertain. 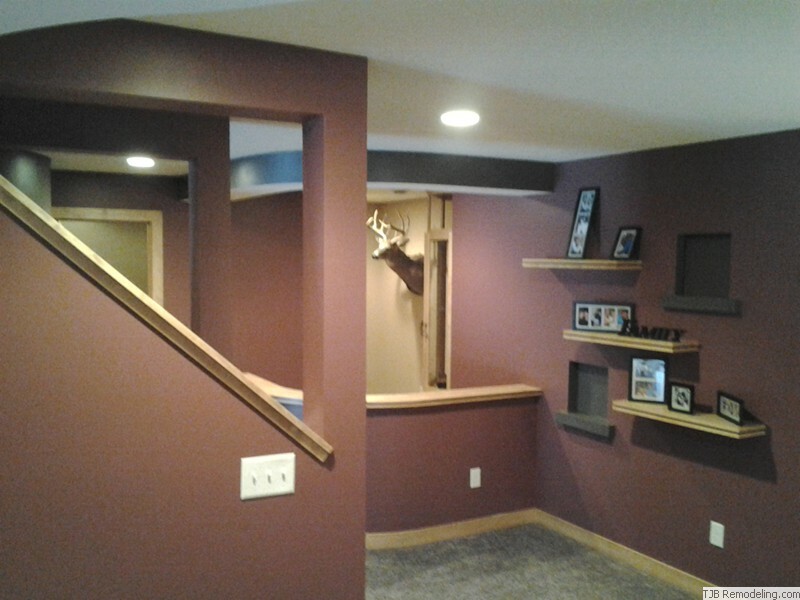 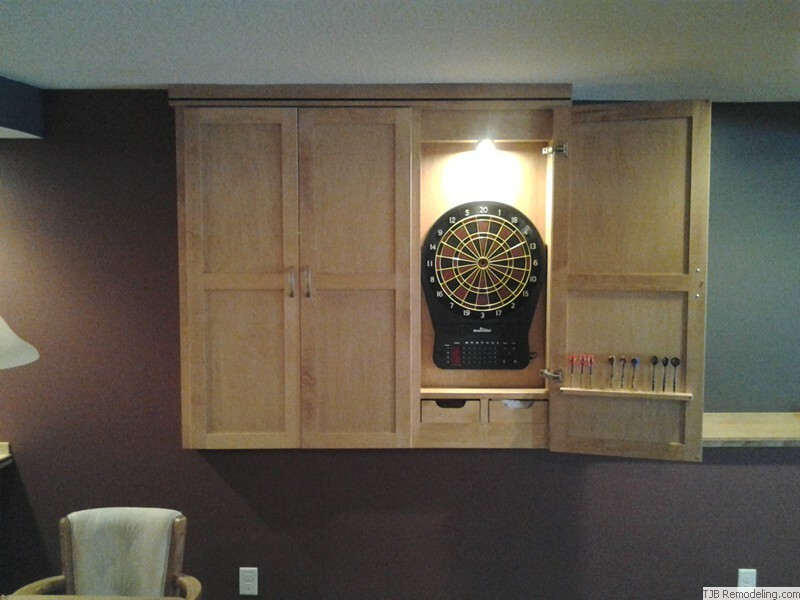 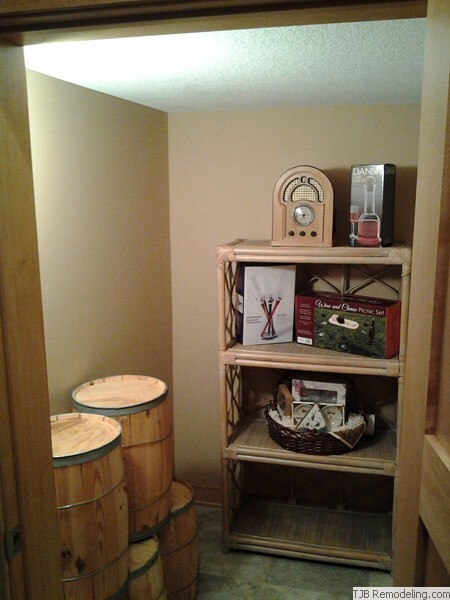 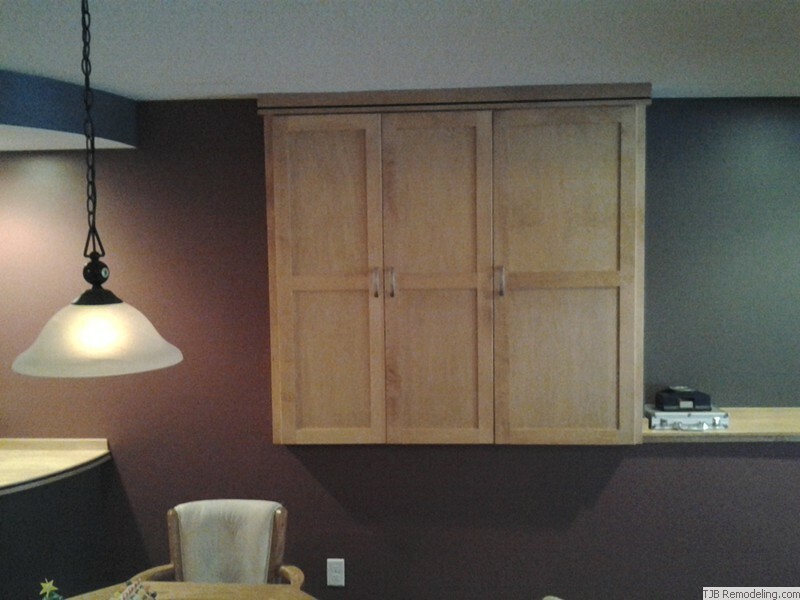 Lower Level is complete with Maple cabinets & woodwork. The Wet Bar & free-formed Center Island features granite tops and stone face, creating a space to be envied by all! 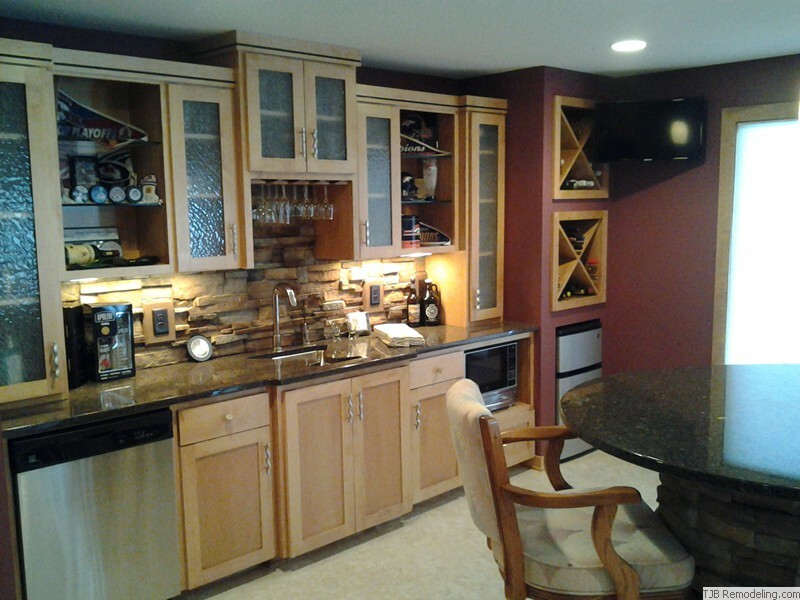 Other highlights include a Wine Cellar, TV Room, Billiards & Poker Room & ½ Bathroom. 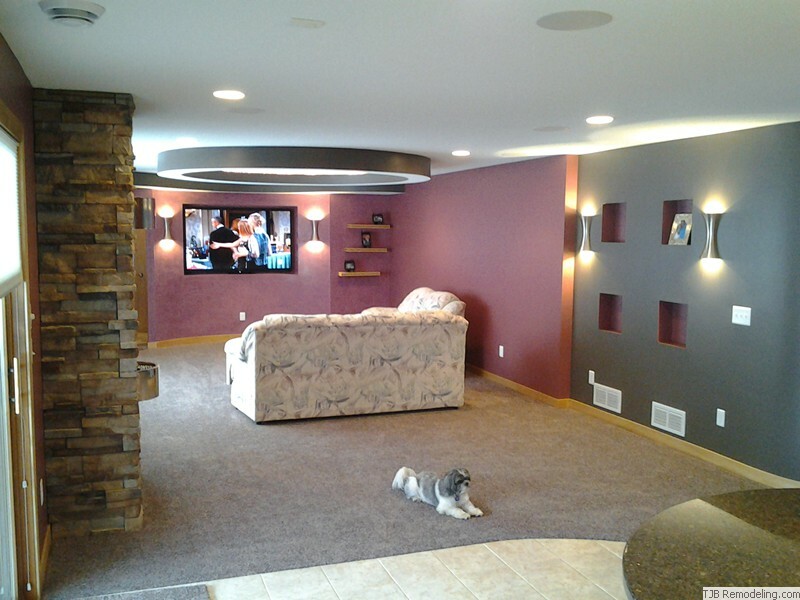 The use of Multiple; radius, dropped, back-lite soffits creates mood lighting and breakup the massive ceiling space. 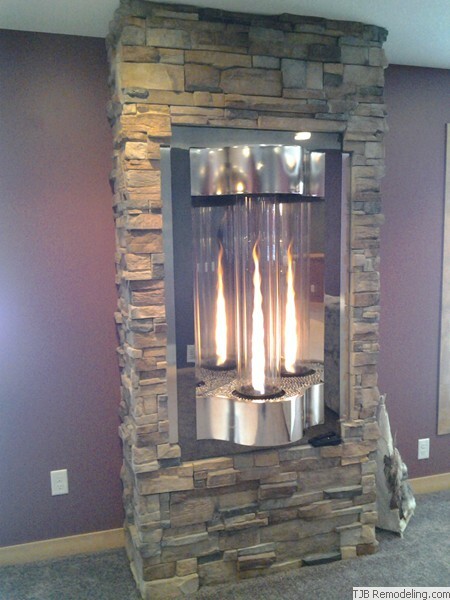 A Cyclone Stone Fireplace is the center piece. 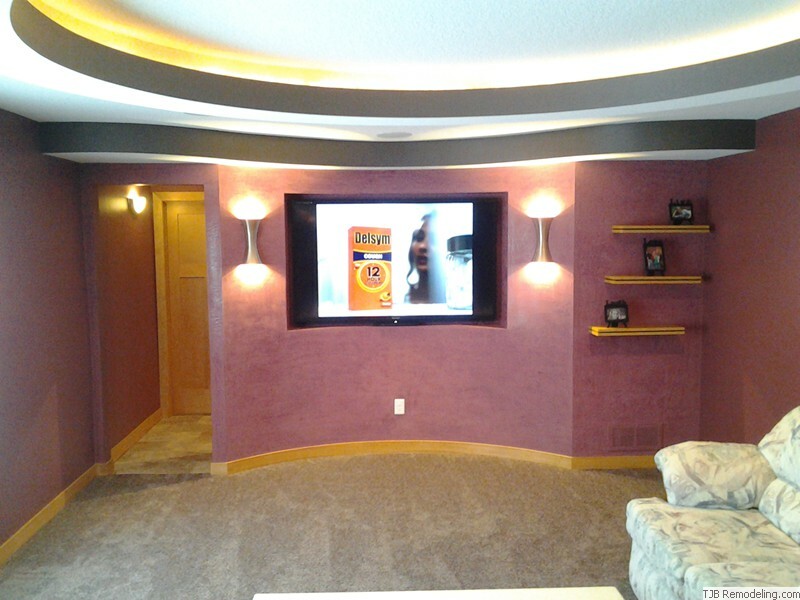 A shadow box for the TV is set in a radius wave wall with suspended shelves. 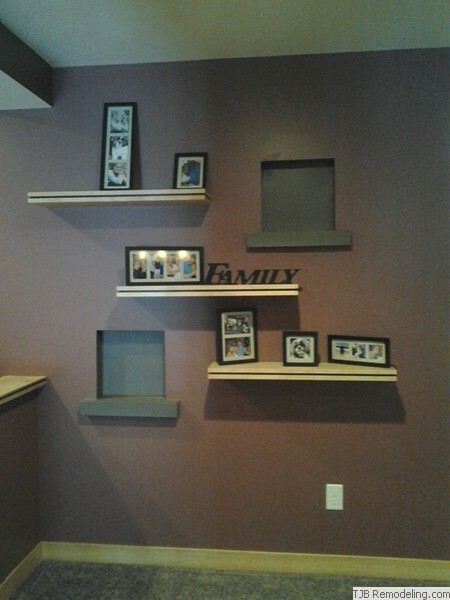 Display walls with multiple in-wall cubes balanced with suspended shelves. 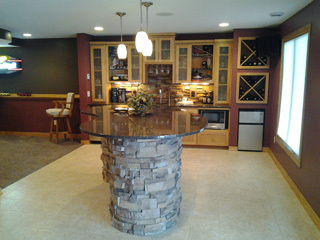 Come visit this lower level, set up an appointment, and let's see how we can design your space!! 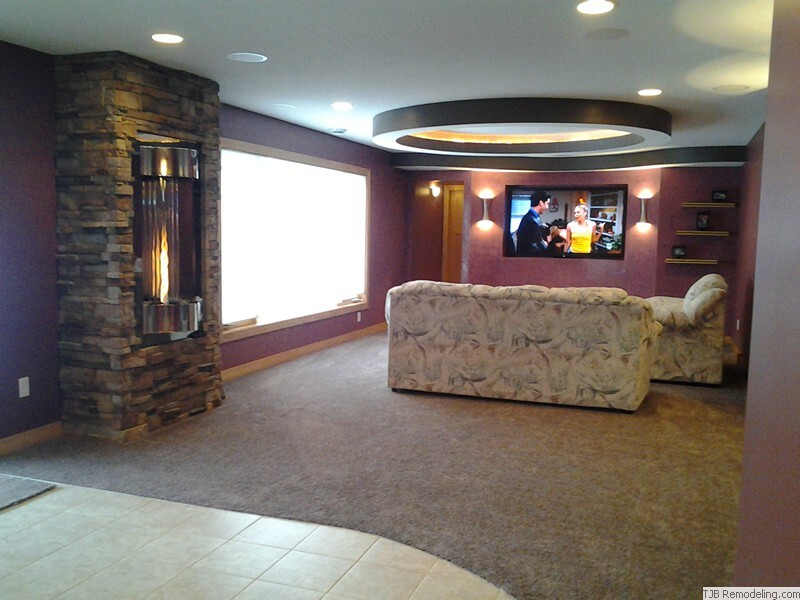 Two extremely satisfied homeowners, the pictures speak for themselves!! 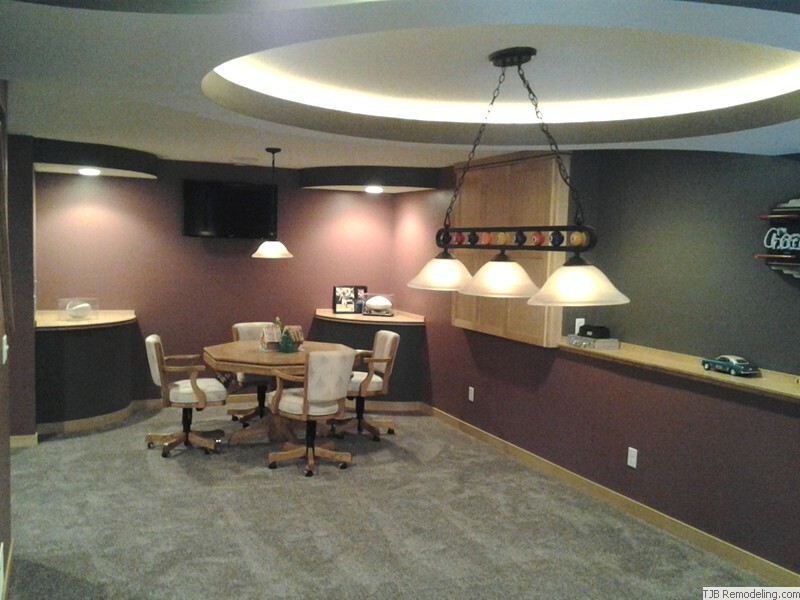 Please take a look at the design renderings. 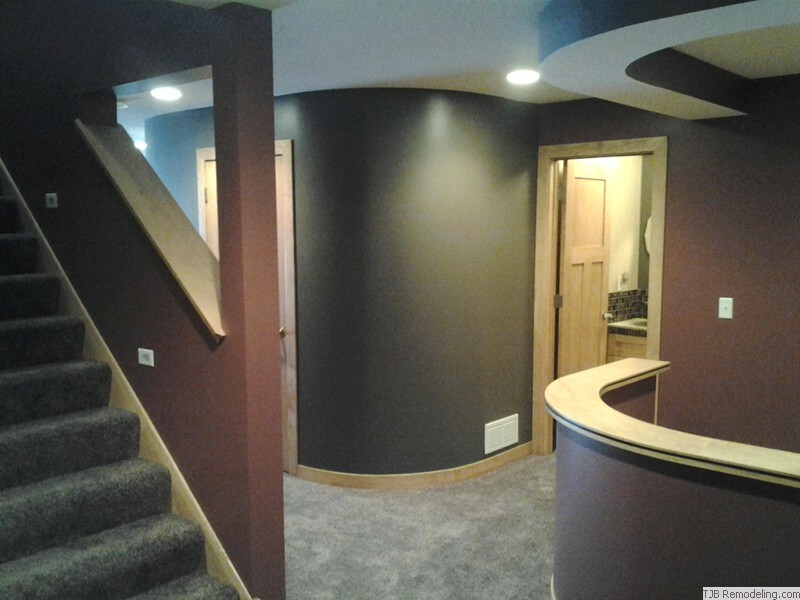 Lastly this lower level was finished in less than 9 weeks (63 days) from start to 100% complete.